First Interest: 1965, Age 13, electronics buddies at a Landisville PA Jr. high school. Has a patent on a log joining system for building log homes. Meteor Scatter - Meteors that enter the Earth's atmosphere burn up leaving an ionized trail of gas in the E layer. These trails reflect signals in the 30 MHz and higher. The bursts last longer the lower the frequency. QSO Today found an interesting article in the research on Meteor Scatter: APRS Meteor Scatter Email System - Interesting project to notify of meteor scatter. TEP Zone - called Trans-Equatorial Propagation Zone, over the equator that allows long distance contacts on VHF and sometimes UHF. Peter Island DXpedition, 3Y0X. - to Antarctica. 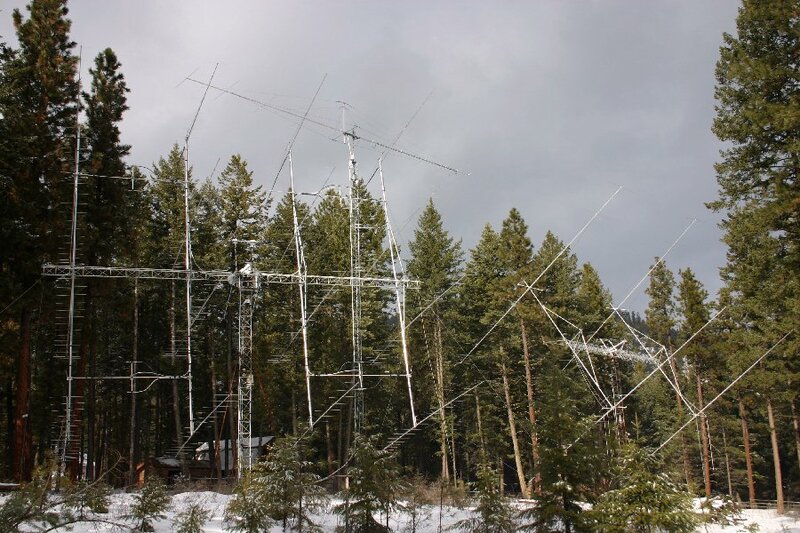 EME did not work at all; signal absorbed in the ice? Heathkit Twoer or "Benton Harbor Lunchbox"
Lance, thanks for a great interview, and all you have done for amateur radio. Lance just received the Fred Fish Memorial Award #7 for working and confirming all 488 maidenhead grid squares on 6 meters in the 48 contiguous States. Please let me know if anyone knows about transmitting via ionization chambers to the antenna or specific alternate medium? I have been having great success with 40 meter SSB into the Ionizer . The Ionizer is in the Triode configuration inside the chamber. I just would like some feedback. I can't say that I have ever heard of inserting an ionization chamber between a transmitter and antenna. Perhaps you should ask your question on Facebook, eHam, or QRZ where there is a lager audience.